Auto Accidents | Weingrad & Weingrad, P.C. When you’re seriously injured in an automobile accident that wasn’t your fault, it’s time to seek out a New York City car accident injury attorney that can help you pursue the compensation you deserve. 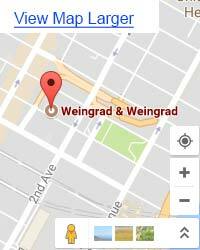 Weingrad & Weingrad LLP has been serving the New York City area for more than 60 years and has earned a well-deserved reputation for delivering quality results and fair settlements to those who most need the help. Our team of seasoned legal professionals is personable, professional, and aggressive when it comes to fighting for your rights, whether in the courtroom or arbitration. We understand that sometimes it isn’t as easy as it should be to hold the responsible parties financially or legally accountable for the consequences of your accident or injury. There’s no reason you and your family should suffer as a result of someone else’s mistake, which is why we fight for truth and justice in every single case we handle. If you’re ready to take the first step toward reclaiming your life, call us today for a consultation, and let us show you how we can get you results! Every year, automobile collisions cause thousands of fatalities all across the country, making them the number one cause of accidental death in adults. These collisions are also responsible for billions of dollars worth of damage, and with one in four adults on the road driving uninsured today, there’s no guarantee that the person responsible for the incident will be held financially accountable. 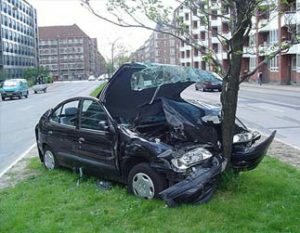 That’s why the law firm of Weingrad and Weingrad LLP specializes in handling automobile collision cases and fighting in court to get fair compensation for the victims. Whether you’ve been injured or lost a loved one as a result of a crash, or you’re a defendant in a case and facing serious liability for a collision that wasn’t your fault, we can help. We’ll thoroughly review your case and explain all your options. If you need a New York City car accident injury attorney that won’t back down, Weingrad & Weingrad, LLP can provide you with the educated and zealous representation you need to be heard by the court and win. Don’t let a car accident permanently affect your life without fighting for the compensation you’re entitled to. We never expect a penny from you unless you’re awarded a settlement. Call us today for your consultation, and see why we’re the most trusted name in personal injury law in the New York area!